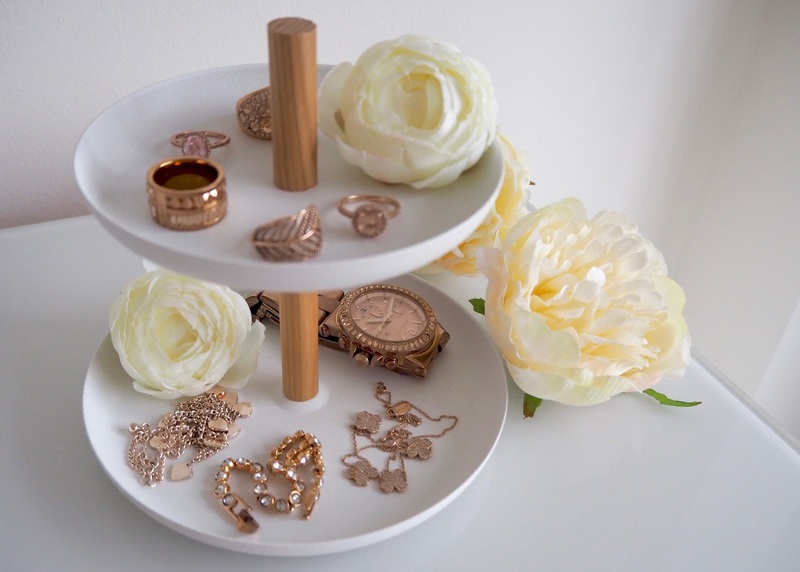 How lovely is this accessory storage stand? 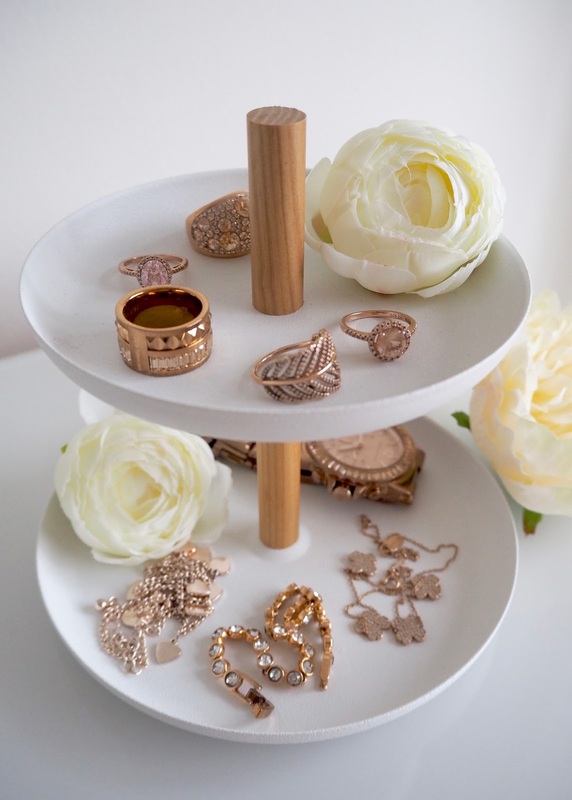 It's like a cake stand (and I guess it could double up as one if you needed it to!) but to hold jewellery or other little bits and bobs that need a place. 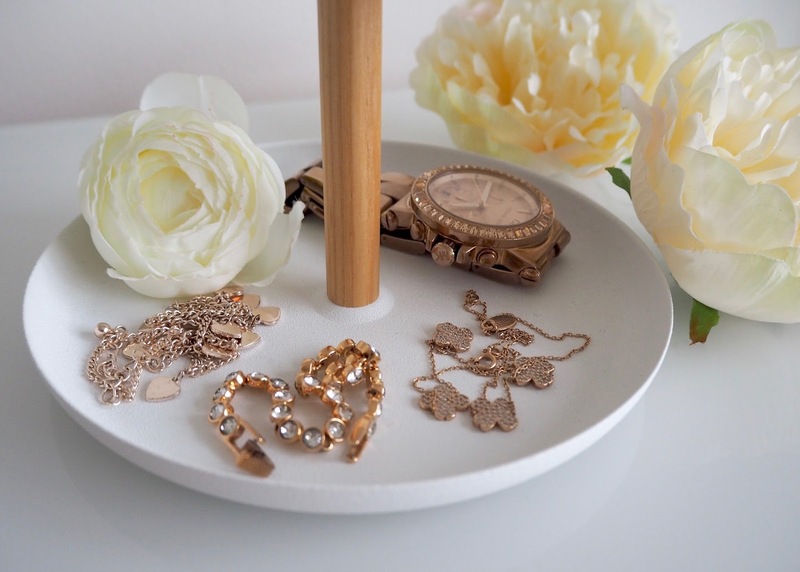 Personally I have quite a lot of jewellery and lots of it is away in drawers and boxes, but I like to have the pieces I wear regularly to be easily accessible - and easy to put away at the end of the day too. 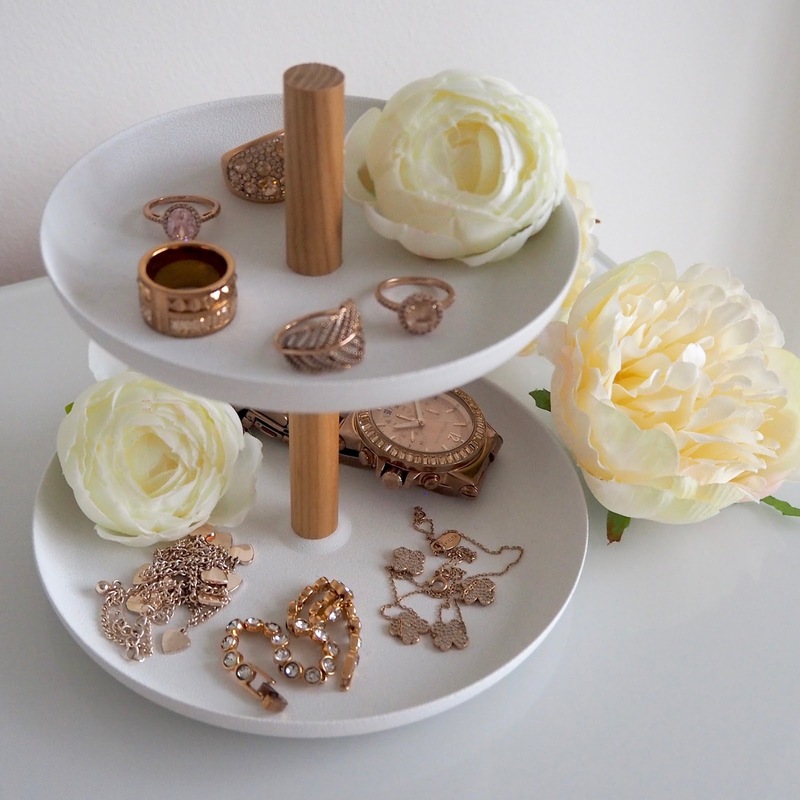 This is the perfect size for holding all your every day jewellery pieces and I've shown here, or possible you could put makeup on here, nail polishes, bath bombs, whatever you're into really. If your Mum likes to keep things tidy and wants a storage idea that's as stylish as it is practical, this could be a good choice. 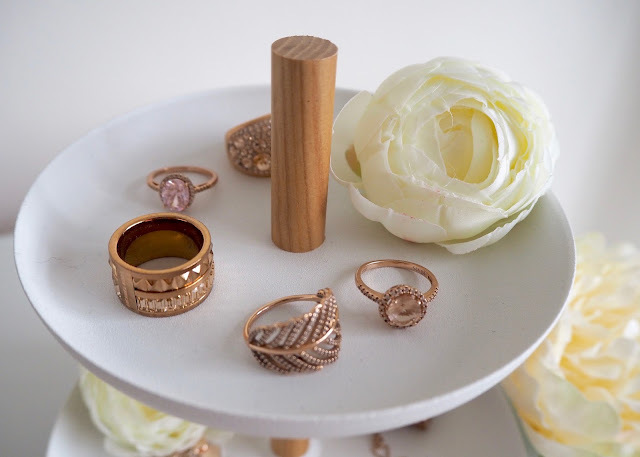 It comes packed in a slim box and you just twist the two plates together with the central stand. 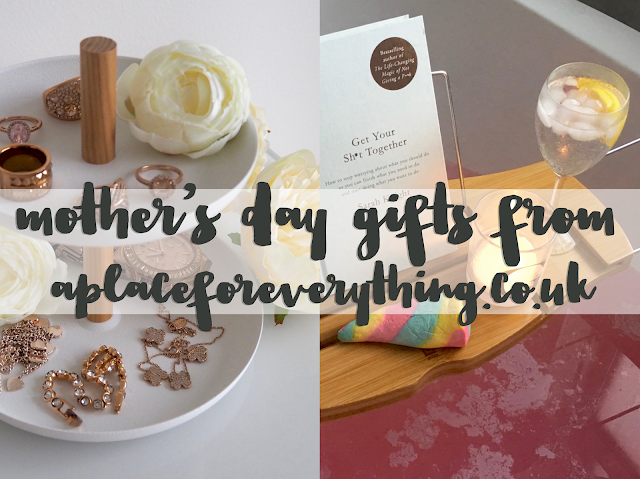 You could give this to your Mum with a few bits already on the stand - maybe a few skincare and beauty products, some chocolates and maybe a bath bomb, and wrap it all up in cellophane and a bow - job done! 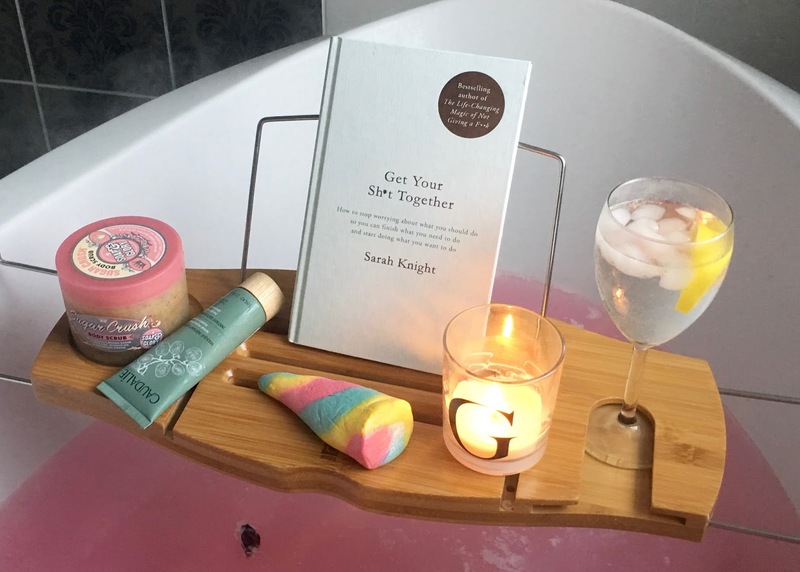 Now if your Mum is anything like me and loves spending ages relaxing in the bath, then this next idea is probably the one to go for! 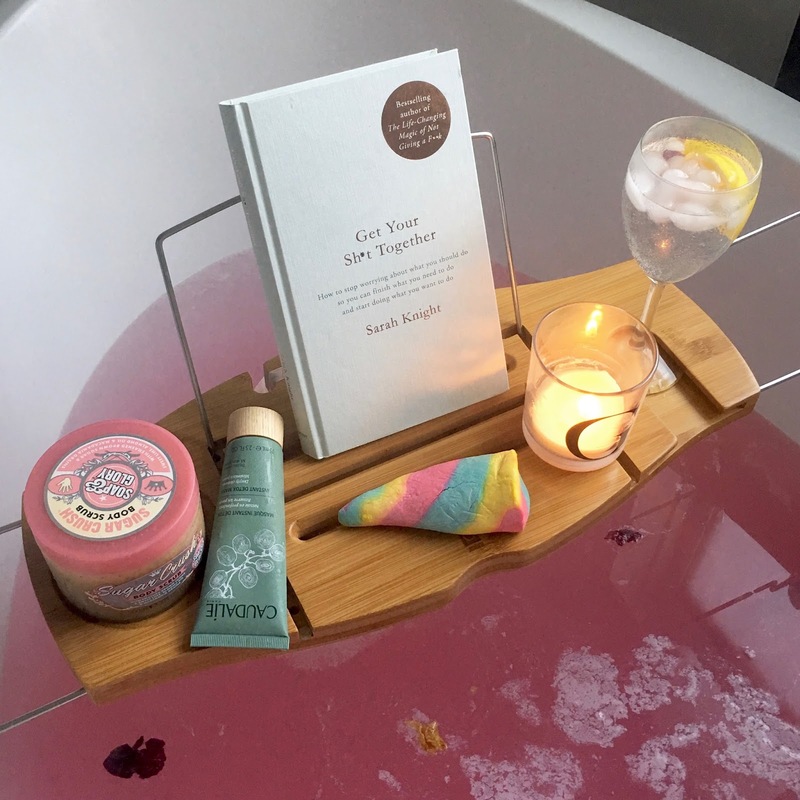 There's nothing relaxing about a bath if you're precariously balancing products on the edge of the tub, nearly dropping your book or your ipad into the water and spilling your drink everywhere whilst trying to reach for the shampoo! This bath caddy fixes all of those problems, holding everything you could need right in front of you. 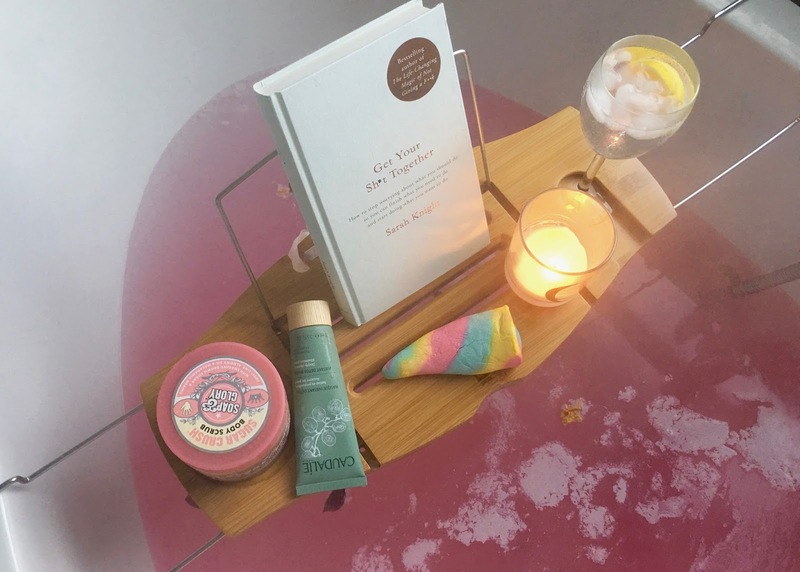 The only problem is, it encourages me to spend a lot longer lazing around in the bath! 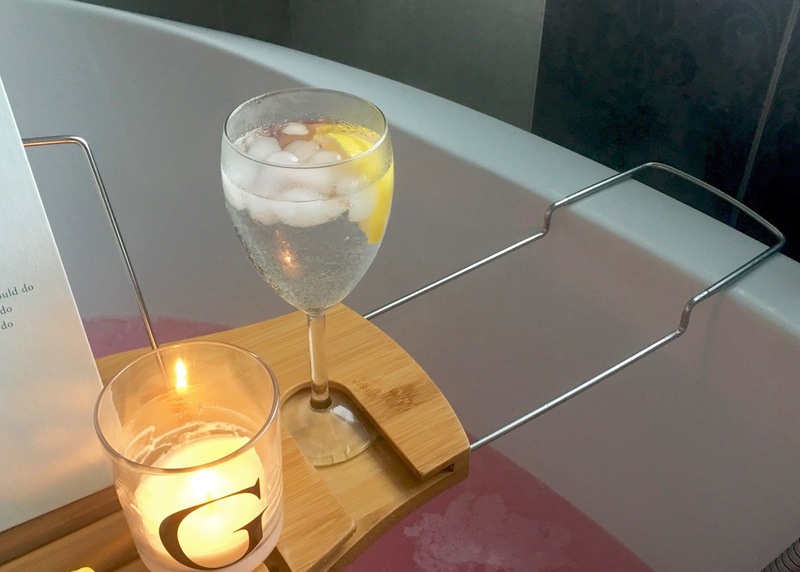 There's a drinks holder built in - it only holds a wine glass / glass with a stem, but hey, I can get fancy and drink my G&T in a wine glass! I know most people would actually drink wine but hey, I have to be different! 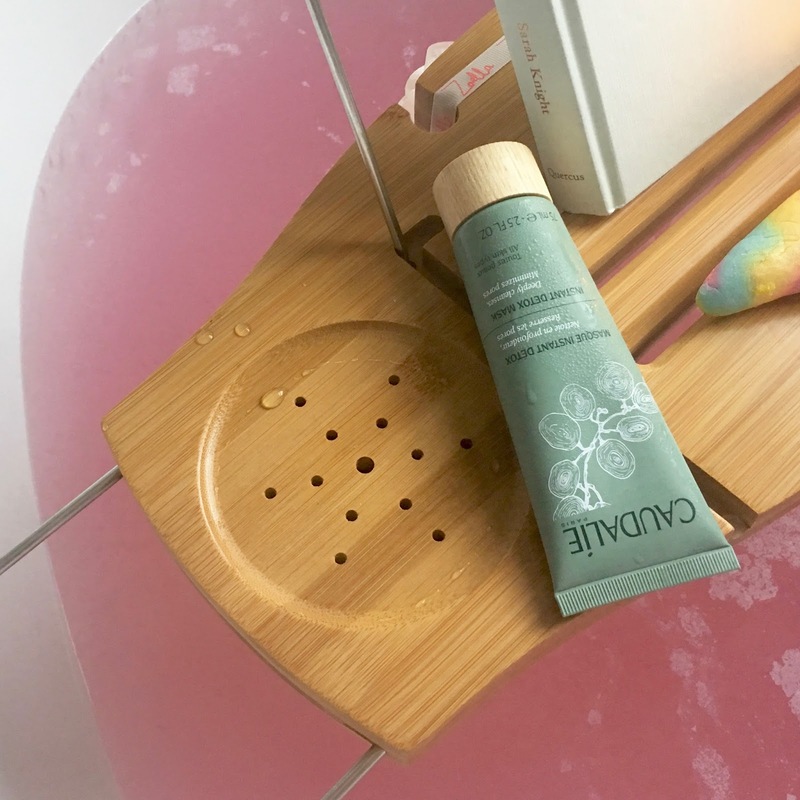 There's also a rounded well on the other side which could be a place for a cup of tea, a scented candle, a body scrub as I have here, or also anything wet like a bar of soap, as there are little drainage holes. In the middle there's a little frame that lifts up for you to rest a book. I've also put an ipad on here, but only a regular ipad - my ipad mini was smaller than the frame, but if your ipad has it's own stand / cover - that can still happily rest on centre of the caddy with the frame down. 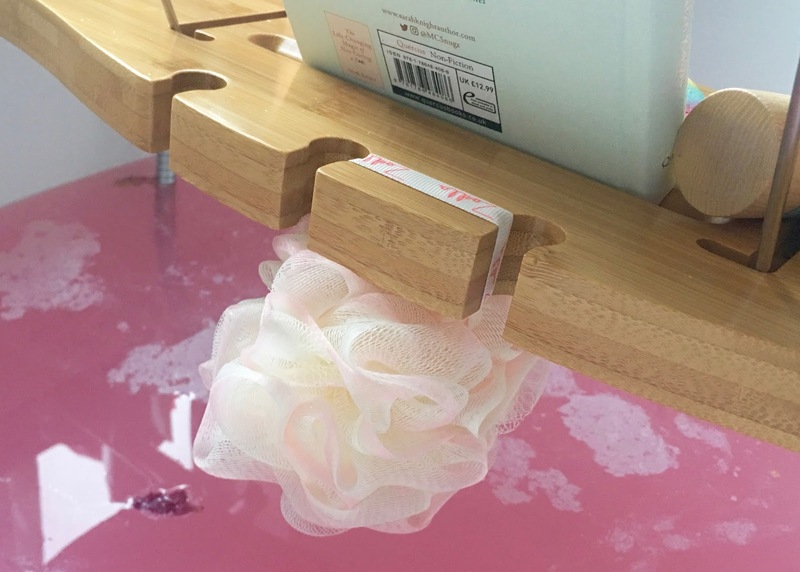 There are even clever little cut outs as the back of the caddy which you can use to hang a shower puff as I've done, or you could pop a razor and a brush / comb or something similar in the gaps. 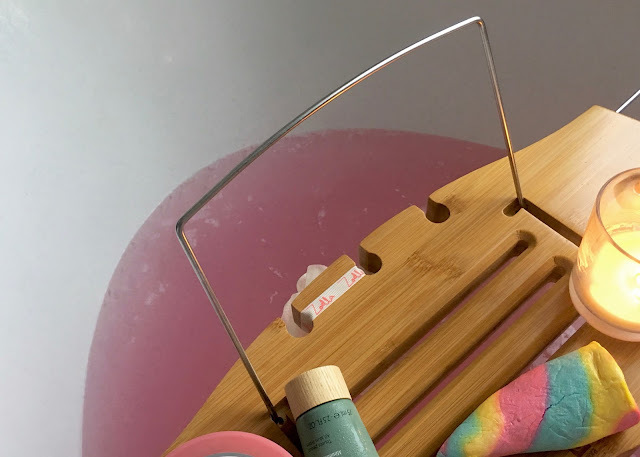 It's a really well-made, sturdy caddy and the arms are extendable so it should be able to adapt to most sizes of bath. Mine's a pretty wide bath as it's an oval kind of shape, and it fits fine and could still extend some more. 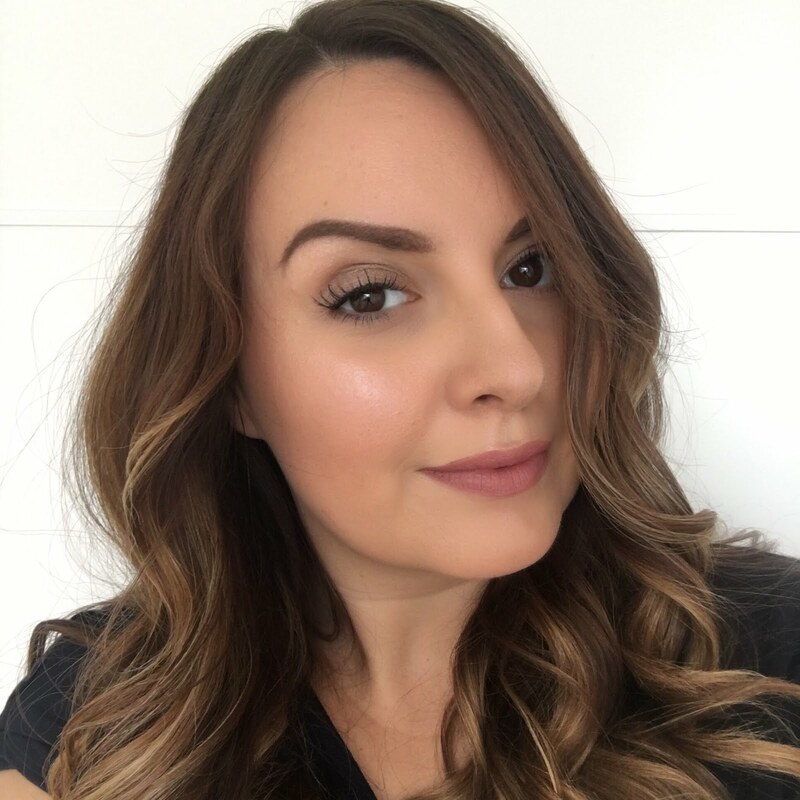 I hope these ideas have given you a little bit of inspiration, or if anything that this post has reminded you that mother's day is coming!